The Galaxy M30 is a new version of the medium-sized phones to the Korean giant after I introduced both my Galaxy M20 and the Galaxy M10, the versions compete with the giants of the manufacture of the phone in China with good pricing and specifications and performance better. 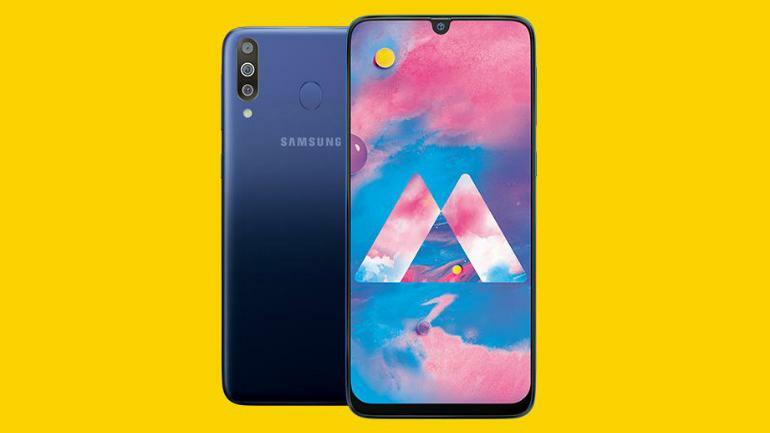 In today’s new leaks, details of the Galaxy M30’s specifications are revealed through the PriceKart report. The phone is set to include a 6.38-inch LCD screen featuring the teardrop top design on the screen or the design from Samsung’s Infinity-V display. The phone also features the FHD Plus quality of 1080 in 2210 pixels. This version supports the Exynos 7904 processor, with random 6 GB RAM and 128 GB storage, with expectations of another 4-GB memory and 64GB storage. The Galaxy M30 features three-channel backlit settings with a 13 megapixel sensor with a f / 1.9 lens, a 5 mega pixel camera with wide angles and a f / 2.2 lens and a 5 mega pixel camera with f / 2.2 lens for accuracy and depth. The front camera also comes with a 16 mega pixel camera with f / 2.0 lens slot. The phone is also set to have a fingerprint sensor on the back with a 5000 mAh battery with Android 8.1 Oreo.